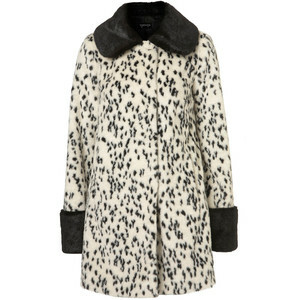 Take style notes this AW from…Cruella De Vil?! Like most girls my age, I am very limited to what I can buy fashion wise. I am a recent graduate who has yet to find my dream career in the fashion industry so I’m still living on a student budget, earning close to part-time wages. Therefore, I need to find ways to create a catwalk look at a lower cost (Luckily for me, I love the British High-Street so I still get a lot of satisfaction from buying from there). The trend I love most this season is the ‘Fetish’ or what some call the ‘Domintarix’ trend. 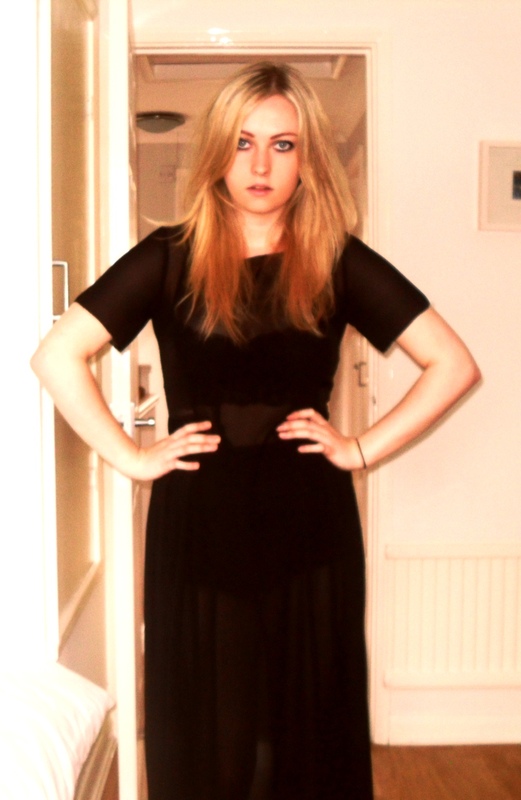 Personally I think it’s the fact that black is the key colour for the trend (a major trend in my wardrobe). However, this trend is not for the faint hearted and catwalk collections from the likes of Mugler presented pieces that fully represented the trend in all its glory. I however, don’t have near enough fashion confidence to pull that off so I scoured the high-street to put together a toned down version of the trend… check out my high-street finds below and Tellus what trends you will be channeling this A/W! Hey, my fashion junkies are you ready for another weeks update on the world of fashion. Well here goes. Well that sure stops that rumour. Now on to the next!!! Rihanna the new face of Emporio Armani Underwear! Rihanna takes over as the new face of Emporio Armani Underwear replacing Megan Fox, who replaced Victoria Beckham as the face of Emporio Armani Underwear and Armani Jeans in October 2009. Graciously though Megan is now stepping down to make way for new Armani face Rihanna, who was spotted meeting with Roberta Armani in Milan in May. Apparently her first campaign for the brand has already been shot on location in New York and is set to launch worldwide in September. Alexander Wang’s second ad,Gritty Fall 2011 Campaign, where Fabien Baron shot Zimmermann in an abandoned grain factory from the ’20s in Red Hook, Brooklyn. The accompanying campaign video, set to a soundtrack of SebastiAn’s “CTFO” featuring MIA, was projected at several locations around Manhattan (Houston and McDougal, 14th and University, 14th Street and 8th Avenue) on Wednesday through to Friday this week. For those of us not in New York this week here’s the full video. Oooh I bet you thought I forgot Berlin fashion week will put that up next been really busy this week, work and getting sick. I’m going through my pictures and video’s right now so shouldn’t be long. :0) !!! 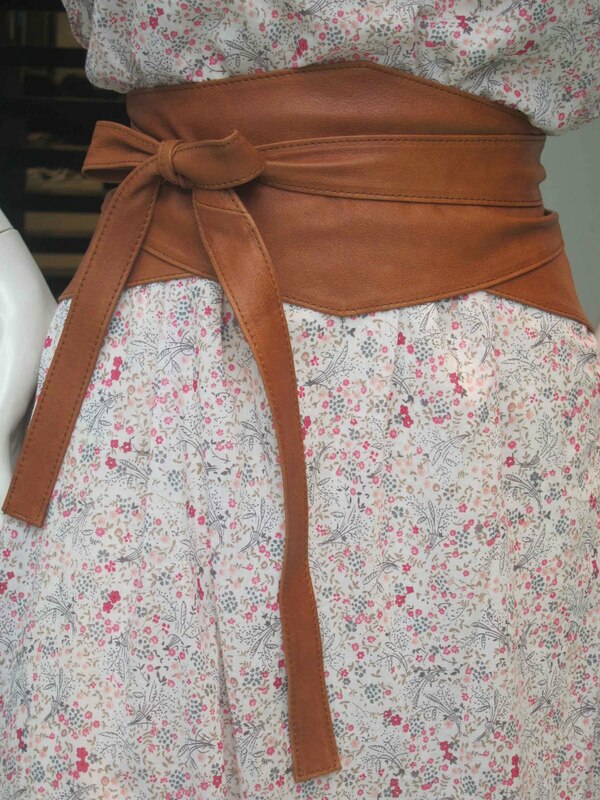 The Obi Belt is the biggest belt trend of the season with the likes of Marc Jacobs, Gucci and Hugo Boss going crazy from them this summer; but you don’t need to pay designer prices to the gorgeous look. The high street is covered with waist-clinching, gorgeous, bold and dramatic belts to really add some eastern glam your outfits this summer, whether you are wearing a tailored blazer, a flowing maxi or a casual tunic. This gorgeous coin embellished Topshop belt is just £32 and perfect to put with any outfit to add some spice. 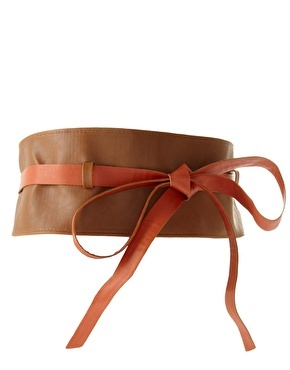 If you prefer something simpler then why not try this tan ASOS belt for £12. From metallics to leather there is every style and shape out there so be sure to pick your favourite one and start injecting some eastern style into your wardrobe. Why we love it: It’s soft and flirty. A loose feminine top paired with a high waisted pencil skirt creates a flattering curvy silhouette for her tall slim figure. 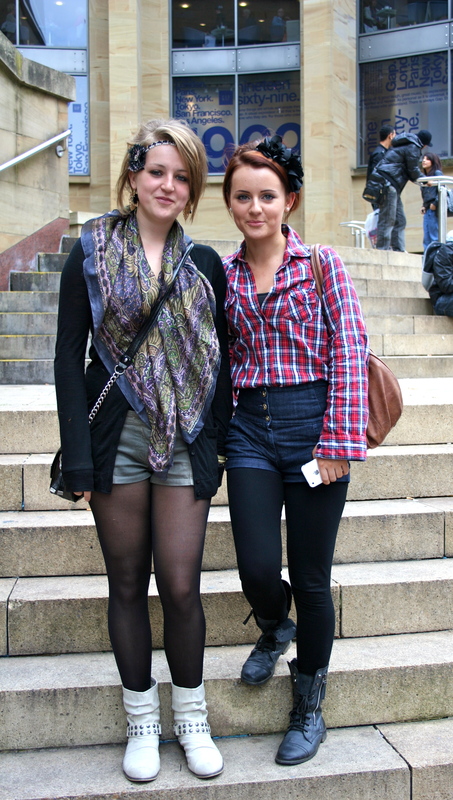 Throw on some vintage jewlery, a comfy cardigan and top it off with a flower in your hair for a dreamy, girly look.